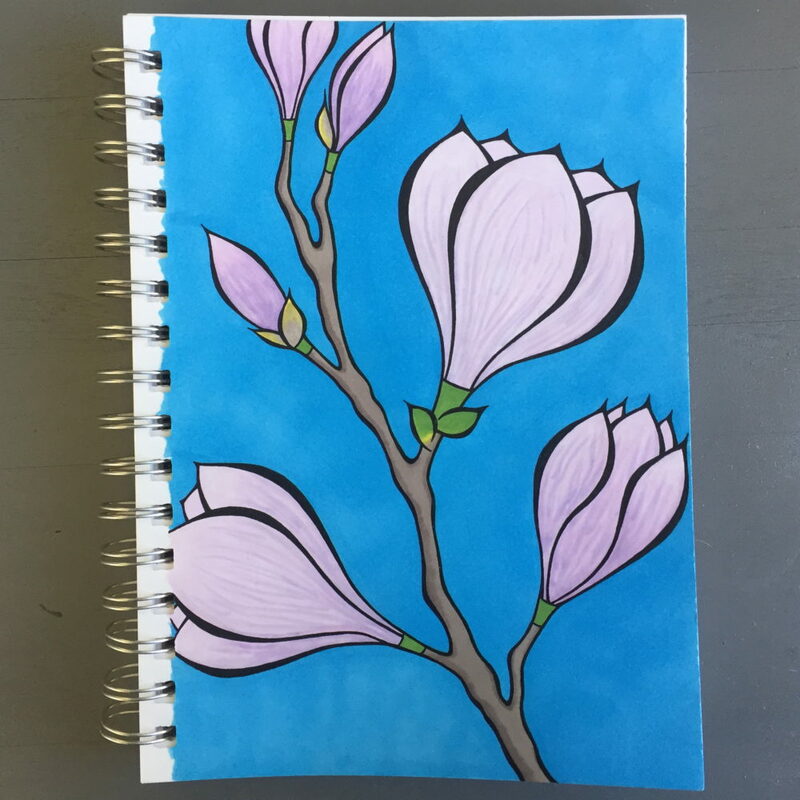 Last year I started a magnolia illustration in Adobe Illustrator, but I wasn’t happy with how it was coming along, so I put it aside for awhile. Recently I decided I’m ready to go back to it, so I started a preliminary study in my sketchbook. First, a pencil drawing, to get the rough shapes in place. Next, I traced an outline in pen and started adding color. Finished adding color. 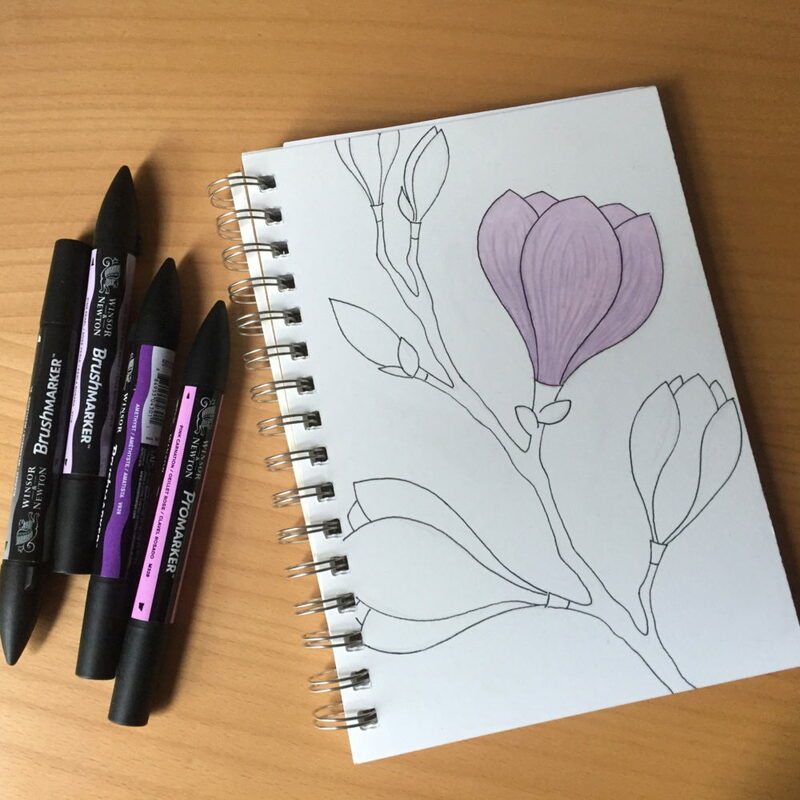 I’ve used Prismacolor markers in the past, but I tried these ones from Windsor and Newton and was really happy with the result. They are very pigmented, and give good even, non streaky coverage and blend easily. They are also slightly less expensive than the Prismacolors. My finished sketch. I really love this, and hopefully, I will soon have a finished digital illustration based on this sketch to share. 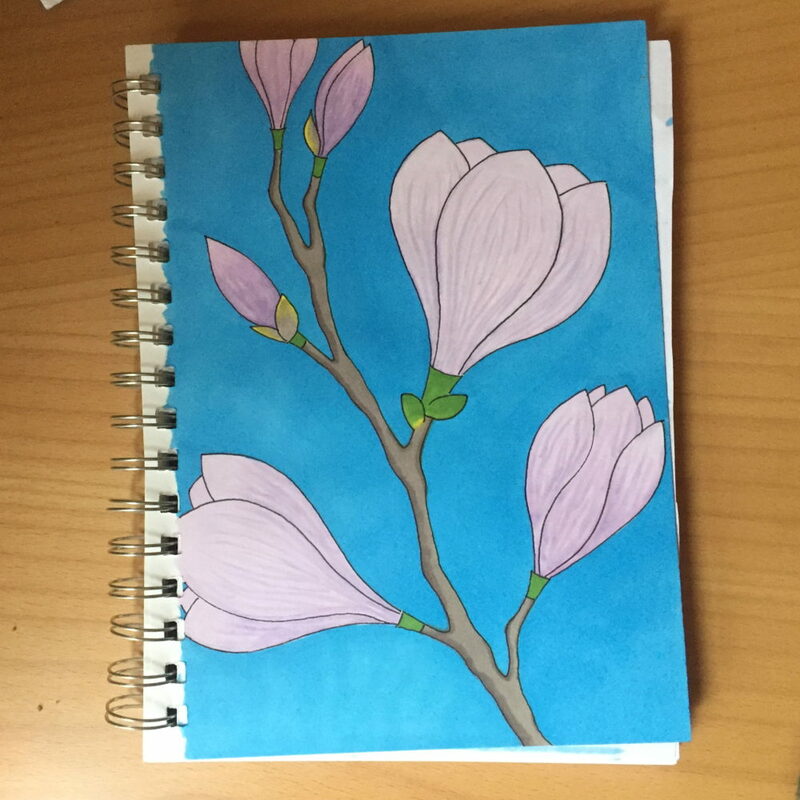 This entry was posted in Sketchbook, Spring on February 10, 2017 by RyanMcGurl.